By Stuart McMillan, Walking Together as First and Second Peoples Advocate and Assembly Consultant Covenanting. 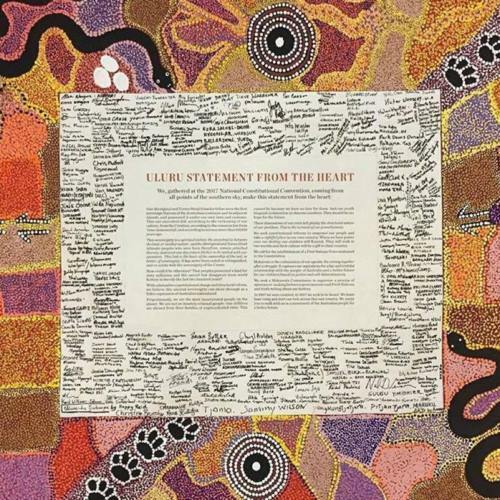 What did the First Nation leaders really include in their submission about a First Nations Voice to the Joint Select Committee (JSC) on Constitutional Recognition Relating to Aboriginal and Torres Strait Islander Peoples? How could any Commonwealth Parliamentarian misconstrue the submission so significantly as to say it was to establish a third chamber of Parliament? Or was that assertion simply mischievous? I’ll summarise the submission here. CLICK HERE to read the full submission. The authors of the Submission 479 were the Aboriginal members of the Referendum Council who were responsible for the design and execution of the First Nations Regional Dialogues and the National Constitutional Convention. They were also the technical advisors who assisted the Indigenous working groups in the First Nations Regional Dialogues and the National Constitutional Convention. The submission calls for a First Nations Voice to be enshrined in the Australian Constitution through a referendum. Why include voice in the Constitution? To secure enduring popular legitimacy and accords the Voice the necessary status to achieve its functions. There is no intention for the Voice to have any form of veto power over the legislative process, and therefore it will rely upon political respect from other constitutional institutions (Parliament and Executive) to achieve positive influence. The submission strongly recommends that no legislative model should accompany the referendum. The voice of Second Peoples is vital in this design process for the First Nations Voice. Has this submission helped to clarify what was the request to government out of the National Constitutional Convention at Uluru? What particularly has been helpful? What resources might be helpful for your congregation, school or agency in the lead up to the election, to enable discussion of this First Nations Voice request of government?